These are a quick holiday treat that is sure to please! Crunchy, salty, chocolatey and sweet! This is a favorite at our house right now! You will not be disappointed! 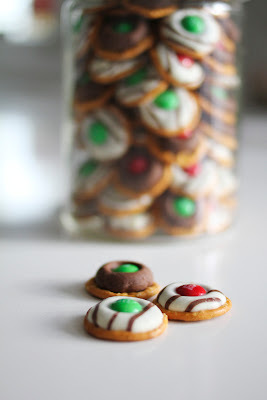 Place the pretzels on a parchment or tinfoil lined cookie sheet. Put an unwrapped kiss or hug on each pretzel. Put in the 225 degree oven for 4-5 minutes so the chocolate gets soft but doesn't lose it's shape. Once out of the oven press an M&M down in the center of each kiss! Let the chocolate cool and set up for 30 minutes to an hour before eating! Or if you just can't wait, eat them warm and gooey! 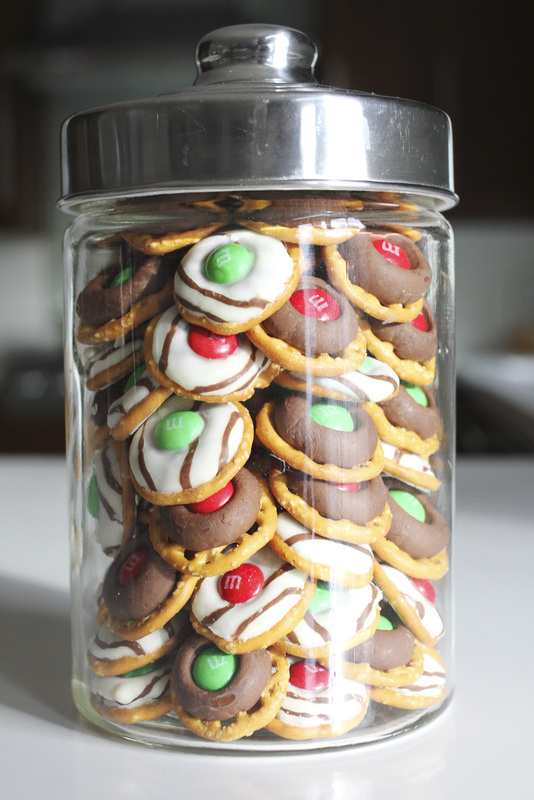 One of my favorite holiday treats too! Last year I did some with Rolos... YUM! Mmm, what a perfect treat! This would make a great neighbor gift for Christmas.